Comparing your Actual Spend against your Budgeted Spend is one of the most useful things you can track as a business. It is for this reason that imputing your budgets into Sage is such a worthwhile task. 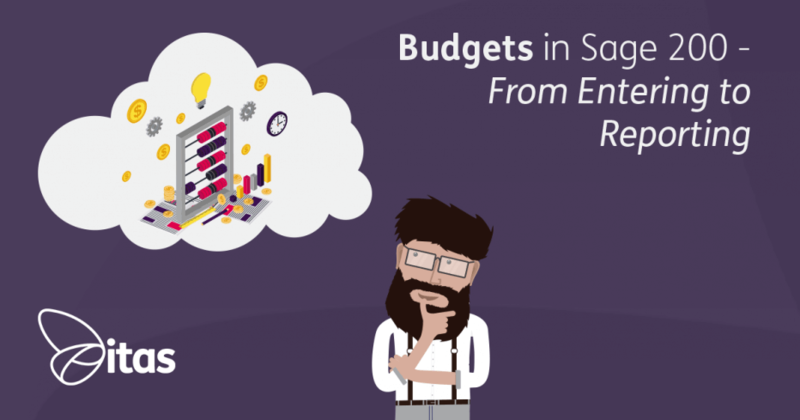 Here, we will go through how to get your budgets in, and how you can report on them later! You can decide whether you would like to input your budgets, Annually, Monthly or Profiled. Annual budgets are entered as one lump sum figure and are split evenly across your Accounting Periods. Any left over amounts are added on to you last period. Monthly budgets are inputted on a period by period basis. 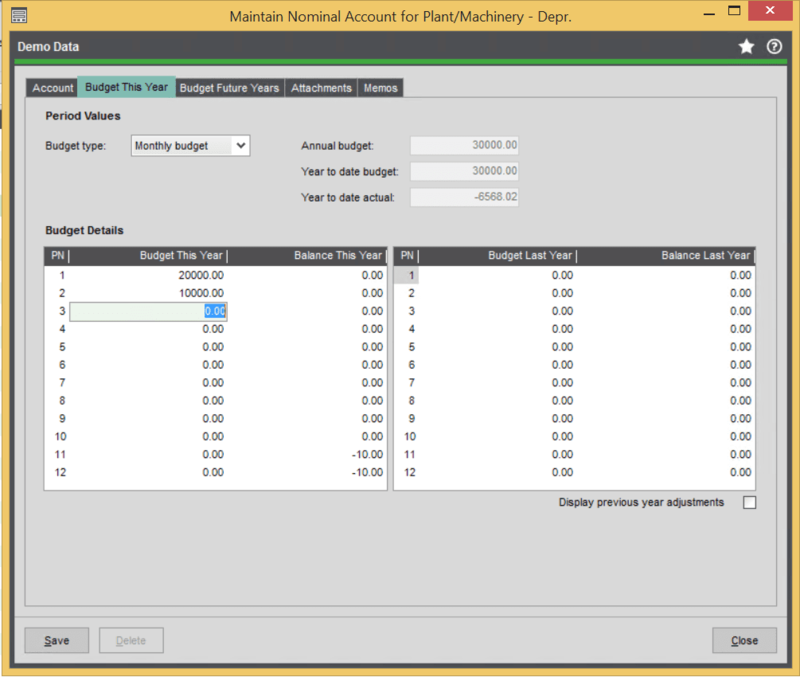 Finally, Profiled budget allows you to break out budgets by percentage over each Accounting Period. You have 3 templates for profiled budget which have to be set up before you input your budgeted amount. If you would like to manually input/amend your budgets for a specific Nominal Account, you can go to Nominal List > Amend Account. Within this screen, you can go to Budget This Year or Budget Future Year tab. On this tab, you can see your budgets and whether they are set out as Monthly or Annually. You can then simply type your budget into the relevant boxes and save. If you would like to manually input budgets for Combined Budget you would need to go to Nominal > Create and Amend Accounts > Enter New Nominal Combined Budget. If you have lots of accounts, the thought of manually entering budgets may fill you with dread! Don’t worry, you have the option to import your budget using the standard Sage CSV Imports. The import file allows you to input multiple monthly budgets for multiple accounts in one go. 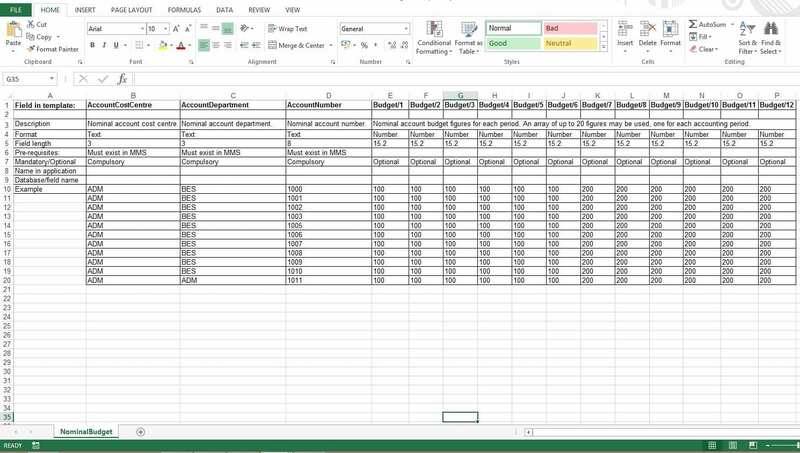 This is a much faster process and is great if you already use Excel to manage your budgets. The budget import is only available for Nominal Level Budget, not Combined. To import the file, go to Nominal > Utilities > Imports > Import Ledger File. You will then need to change the drop down to Budget Values. There are numerous ways for you to make the most of the budget input. Of course you have the standard Sage reporting within Nominal > Reports > Budget Comparisons. Here, you can find Detailed, Summary and Individual Level Budget Reports. You also have the Sage Business Intelligence package, that allows you to create your own reports using Budget V Actual too. If you have any topics that you would like covering in one of our blogs, let us know and we can add it to our list!